Pet Heat Mats | Kane Manufacturing Company, Inc. Since 1998, we’ve been manufacturing a line of products specially designed for pets, including solutions for pet heating. 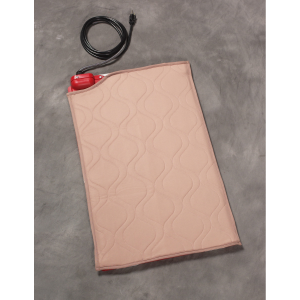 Kane Pet Heat Mats are the ideal heating solution for your dog, cat, turtle, snake, or other reptile. Our pet heating solutions are based on specially adapted heat mats, rheostats and thermostats which you can combine to provide pet heating solutions for your needs and budget. You can purchase Kane Pet Heat Mats for installation with or without temperature controls. 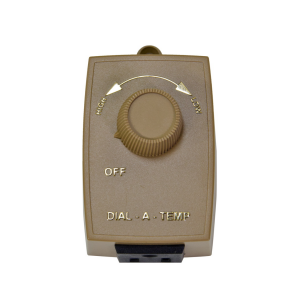 And you can choose from rheostat or thermostat temperature controls. When installed without temperature controls, your Kane Pet Heat Mats will heat to a constant 37 degrees Fahrenheit above ambient temperature. 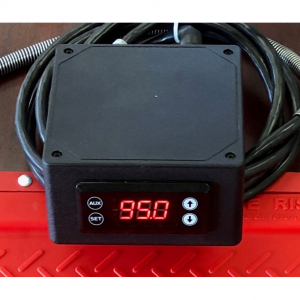 If you want to purchase Kane Pet Heat Mats with temperature control, you can use the Wizard below to first choose the size mat, and then specify what temperature control, if any, you prefer. You can also purchase the thermostat and rheostat Temperature Controls separately. Don’t hesitate to call or email us so our sales staff can help you select the right mix of equipment for your operational needs. Use the Pet Heat Mats Selection Wizard below to select the heat mats that are right for you. 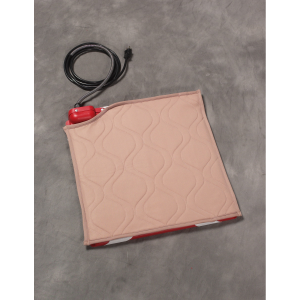 18" x 28" Kane Pet Heat Mat Cover. The only authorized cover approved for Kane Pet Mats.